in so many words...: Casting Call! Okay, who do you think should play Nora Charles in the new version of the original THIN MAN films based on the book by Dashiell Hammett? 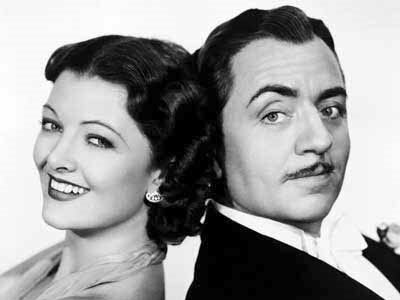 The original films starred the powerful screen combo of William Powell and Myrna Loy. But as Nicolas says - shaking with dread - over at his blog, SQUEEZEGUT ALLEY, 'Film stars just don't look like Myrna Loy anymore...' I agree. Glamour is dead. But still, the movie is moving forward. 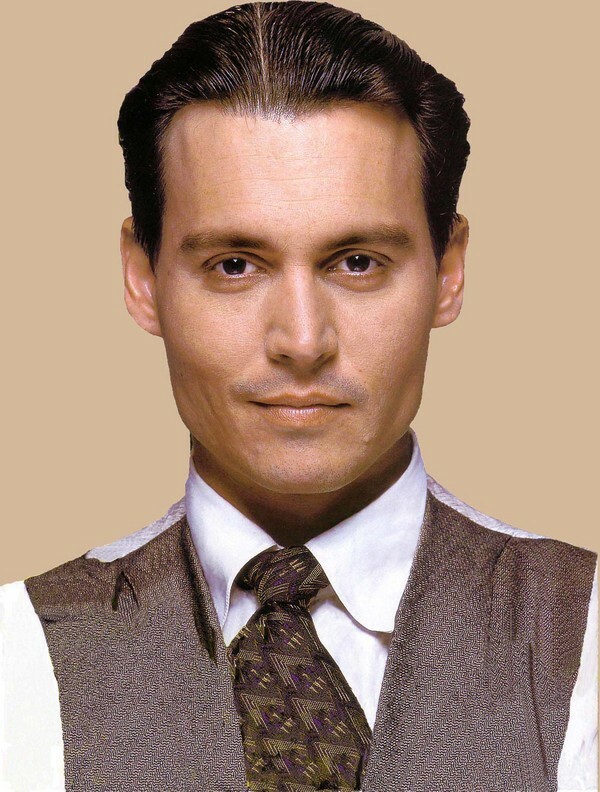 Let's be pragmatic: Who do you think would look best with Johnny? Who would have the necessary chemistry? As we know, Johnny Depp swallows the screen (it is almost impossible to see anyone else when he's onscreen) or else disappears completely, when he's in a movie. He rarely has chemistry with his female stars. Why that should be I don't know, but there you have it. In my opinion, speaking as a lover of the original THIN MAN films and of the pairing of Powell and Loy, Johnny Depp will do all right as Nick. (He might have to put lifts in his wing-tips, but that's for him and the costume designer to figure out.) He will be able to get that 1930's look down pat - the shiny slicked back hair, maybe a pencil thin mustache, the tux, the stride. He can do that with his eyes closed. I can already see him with my own eyes closed. I added the little 1930's pencil mustache - what do you think? He might make it work. It's the casting of Nora that is most problematic. I have heard nor read anything anywhere about who is in the running for the part and for the intents of this post, I don't want to know. I prefer to play casting director on my little blog and ask you to join in as well. We'll all play casting director together. So, let's get to it: CASTING CALL! Reese Witherspoon? She'd have to darken her locks, though. Rachel Weisz? Hers was the first name that popped into my head a few weeks ago when I heard about the adaptation. I still think she might work. 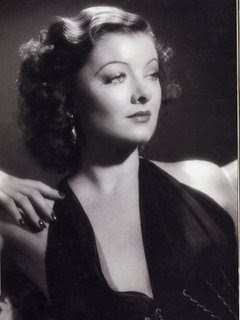 I think any of these actresses migh be capable of showing that sophisticated nuttiness spark that Loy had. What do you think? Agree? Disagree? (No screeching, please.) Who would you cast? I just posted on the facebook link as well.....This is such a horrible thought that I'm not sure I want to think about it. I think Carter looks to old despite that acting ability, and I'm just not a fan of the rest of the women. I'm not sure any female actress today could do right by the role. Some of my favorite actresses of today, two of whom (Cate Blachett and Joan Allen) would normally make me drop everything and go see any movie they are in, would be horrible here. Maybe there is some unknown out there that could do it, but none of them. And you are right, Depp never seems to have real chemistry with his female costars. If the chemistry is not there between these two characters, it won't matter who plays them because it will be a disaster. I just think this is going to be a disaster along the line of the really, really, really bad reamke of "The Women" with Meg Ryan. Ryan: I don't think ANYTHING could be as disasterous as the THE WOMEN remake. I didn't even see it and I know it was an abomination. Ha! I'm just thinking out loud here. After all, the film looks like it's really moving forward. Johnny Depp has so much appeal, much of it mysterious, that fans are drawn to him, but he doesn't always work out in every movie. Where he has a stark dramatic role that uses his individual skills and charm, like Edward Scissorhands or The Demon Barber, fine. I don't know about Nick Charles played by him. However, it is more true that he doesn't usually have chemistry with a woman lead. The main criteria for me would be an actress who is charming and witty ... i.e., a Myrna Loy clone. I think Maggie Gyllenhaal is the best choice of all of the options here. She is terrific, and chameleon-like. She can play anyone, I think, dramatic or comedic. Rachel Weisz is gorgeous and stunning. She can act, but I don't know about the humorous, witty aspect, which is crucial. What a dilemma! I'll just take the originals out of the library and pretend the remake isn't happening. Oh, I am so completely nervous about this re-make. I don't know that I'll be able to watch it. I mean, I love Johnny Depp but William Powell and Myrna Loy *did* have such fantastic chemistry. Of the actresses listed, I'd go for Maggie Gyllenhaal. I know Rachel Weisz was Depp's first choice but from what I've heard, her filming schedule won't match up at all. I think my problem is that I just don't really like any young actresses today. I am much more likely to watch Lindsay Duncan or Janet McTeer or even Maggie Smith and Judi Dench. I guess I'm getting old, but most popular actresses today seem, well, interchangeable. Birdie: I do agree with your comment about most actresses today being interchangeable. That's why I did try to pick some who were, at least, a little bit more individualistic. I do like the idea more and more of Maggie Gyllenhaal. I wonder if they've thought of her at all. Emily Blunt (I think she stole the show in "The Devil Wears Prada). Kate Beckinsdale ("Cold Comfort Farm," anyone?). Perhaps it's just me, but most American actresses seem to bland (or do I mean blonde?) to take on the role. No no no no no no. I don't like it. At all. 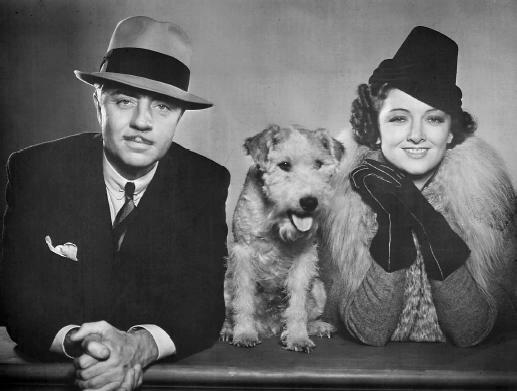 I love the Thin Man movies and posted on Facebook and Twitter about how not happy I am about all this. Depp - eh, maybe. Not feeling it though. And, as you mention in the post, cannot think of anyone who could possibly play Myrna Loy's part as well. It will be different, and I will be unhappy. Gosh - what an optimistic comment. Yvette: From your blog to the director's ears (or eyes). These comments should be taken into account when the casting is done. Why does anyone have to meddle with perfection -- movie, cast, even Asta! It'll probably be a British actress. Hollywood likes to cast English whenever a role requires wit and sophistication. Let's hope that part of the old Thin Man movie stays put even if it wasn't really part of Hammett's novel. I bet most people don't even realize the Thin Man of the title is the victim in the book. Carol's idea were great. Let's have Kate Beckinsale return to some quality fun and get her out of those werewolf action thrillers. Emily Blunt! Perfection. Wow, I used to be so good at this sort of thing. I rarely go to the movies as much as I used to. My tastes are far too limited when I have to choose from what is being churned out. (How many Hangover type movies must they make?) Besides I can never think of anyone "hot" to do this sort of fantasy casting thing these days. I'd like to see Depp paired up with Sarah Jessica Parker again. They were a hoot in Ed Wood. And they're both the right age. Of your choices, Yvette, I think only Anne Hathaway has the sophistication and comedy chops to pull it off. But she's a bit too young. Depp is almost 50. Or is he already? But then Hollywood loves the older man/younger woman pairing. Love it far too much, I think. Maggie Gyllenhaal doesn't do anything for me. I disagree that she has Depp's chameleon quality. She seems the same in everything. Drama is better suited for her. 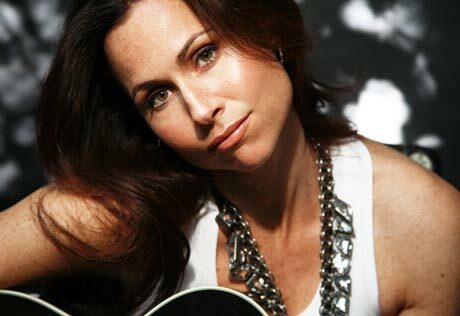 I did like her with Jeff Bridges in Crazy Heart. Also, in the movie set in Chicago where she played the baker she had some fine moments. I think that was Stranger Then Fiction with Will Ferrell as the guy whose life is being written by Emma Thompson, a novelist. I'm going Maggie or Anne Hathaway but I think we need a newcomer here. I love when we are presented with a brand new actress that blows our socks off and then becomes an instant, blinding Hollywood hit like overnight. All of those actresses have BTDT in my opinion. Carol: Thank you, I thought the mustache worked well myself. Ha! It is my first attempt at 'altering' a photo short of just cropping. I also thought of Kate Beckinsale, but she's just made herself too bland these days. I LOVED her in COLD COMFORT FARM and wished she'd taken a diffrent career path afterwards. I also think she's had some work done on her face. It just doesn't have the same quirkiness it seemed to have in CCF. I don't think Hollywood values 'quirkiness' much anymore. picky girl: It's okay to be gloomy and doomy. I frequently am, myself. Ha! Kathy: If I ran the world, it would all work out perfectly OR there would be NO re-make. I have to admit though, I AM curious to see what they make of such a well-known classic film. 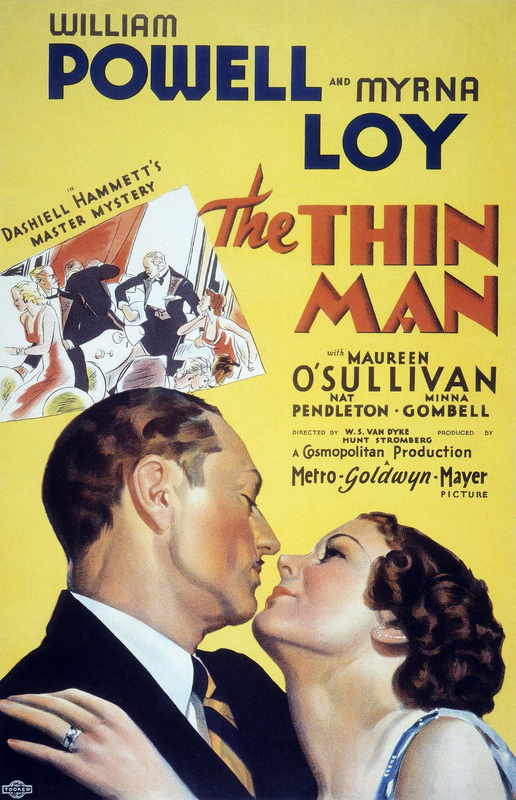 I mean, EVERYONE has seen THE THIN MAN - or just about. And EVERYONE will have an opinion. I think Johnny is counting on the good-will of his own fans. Although that good-will didn't seem to help him much in THE TOURIST. But really, people, he can't play Captain Jack forever. Much as I wouldn't mind that at all. HA! John: I, too, know very few of today's actresses. (In truth I can't tell one from the other most of the time.) The 8 I posted are the very limit of my own modern day leading lady knowledge. I did think of Sarah Jessica Parker but then I thought how she might be a bit too old and just not beautiful enough. She MIGHT make it work though - who knows? I think we're forgetting one thing, or at least, Hollywood might be. In the film Nick and Nora appear to be close to the same age with maybe Wm. Powell looking just a couple of years older. You don't have that sort of sophistication when when you're 19 or twenty if ever. Nora cannot look like some bimbo-babydoll. She was an intelligent woman simply dripping with style, sophistication and pizazz - but AlWAYS looking like a lady. Though it's obvious her money holds some attraction for Nick, he would not have married her had she just been a beautiful dope with money. I'm wondering: You think Kate Winslet can do comedy? Just a thought. BookBelle: They might go with a new-comer. But then she'd probably be too young. When Johhny's first thought was Rachel Weisz, it shows us he's thinking about Nora in the right way. I think Rachel could have pulled it off. Too bad her schedule doesn't work out. Well, soon as the news of the casting comes out, we can all have another hyper-bolic chat. Ha! I think Kate Winslet could do comedy, now that you mention it. She's never been put to the test, but I see sparks of it in her real life persona all the time. Maybe she's not confident enough. It's not broad comedy (I hope) that Nick and Nora need - it's wit and banter. Definitely in Winslet's colorful palette. This is all reminding me of the last time someone monkeyed with The Thin Man. It was the ill-fated NICK & NORA - a Broadway musical that bombed terribly back in 1991. Barry Bostwick and Joanna Gleason were the leads - both well into their 40s at the time. The unlikely trio who wrote it (Arthur Laurents, Charles Strouse & Richard Maltby Jr - all Broadway successes for decades) seemed to have been thrown together in a room to duke it out and come up with something entertaining. All they produced was mediocrity. After nine weeks of previews (Spiderman, anyone?) it ran for only eight performanaces and closed on Dec 15. Merry Christmas, Mr. Producer. Wait a minute - just remembered! Kate Winslet was in that phenomenal Jim Carrey movie Eternal Sunshine of the Spotless Mind. One of my favorite movies of this century. She showed her quirky comic chops off very well in that. And it wasn't broad comedy, but definitely odd. Yes, she could do it based on that performance alone. I vaguely remember the Barry Bostwick fiasco, but only very very vaguely. Wasn't there a tv show as well? Or is that only in my dreams? Peter Lawford as Nick Charles?? I'm not a Jim Carrey fan so I haven't seen the film you mention though I know of it. The only Jim Carrey movie I've EVER been able to watch without retching is THE TRUMAN SHOW. Quite liked that. Hi Yvette, sorry for being so late to this party - you certainly rounded up some excellent 'suss-pehcts' (as Powell always seemed to enunciate it). Fascinating suggestions and I hope Johhny takes heed! Can't wait to see who they finally cast.